In the city centre, in the same area as the big sculpture shown on day 5 are quite a few of these big mosaics. Each one measures approx 2.5m x 2.5m. 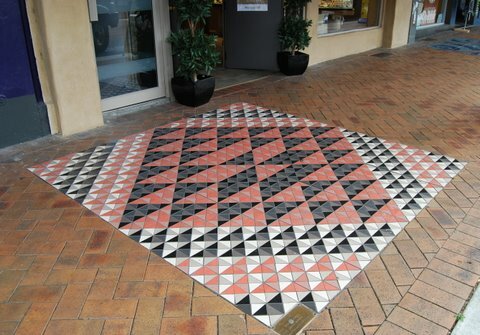 They are part of the footpath and no one makes any attempt to walk around them. 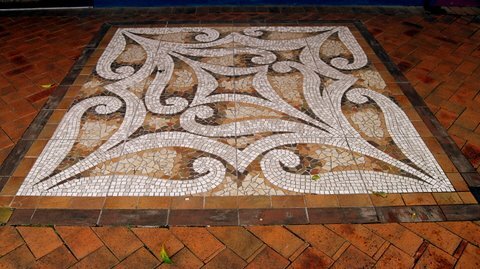 These are just a selection of them but one day I intend on doing a mosaic walk and photographing all of the mosaics. The first is in the style of Maori Tribal designs, although it’s not strictly traditional. The 2nd is a brightly coloured abstract and I’m not sure of it’s relevance to the area. Perhaps the sun over the ocean and boats coming to shore? The 3rd is most definately a Maori design. 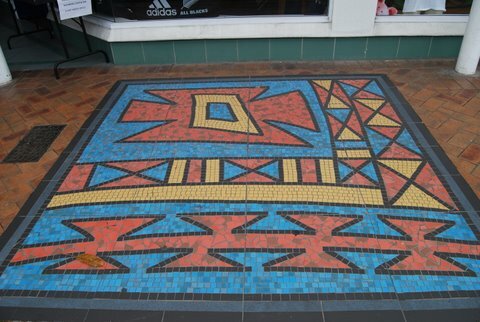 Black, red and white are traditionally associated with the maori culture and this geometric pattern has been repeated in many weavings. 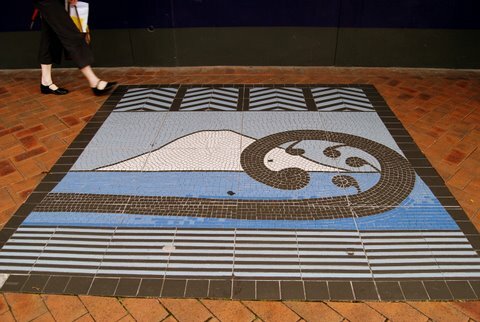 The 4th mosaic depicts Mount Maunganui, a koru (fern frond uncurling, life) and the ocean which surrounds our area. You can see a 5th mosaic at my photo challenge blog if you wish. 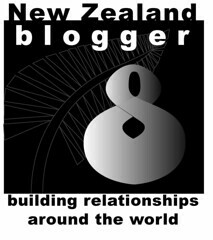 International blog action day- October 15. Click the banner on the post below to find out more!